Click on the book below to view the pages. Many charming cutouts were pasted throughout the book and a few are included here. 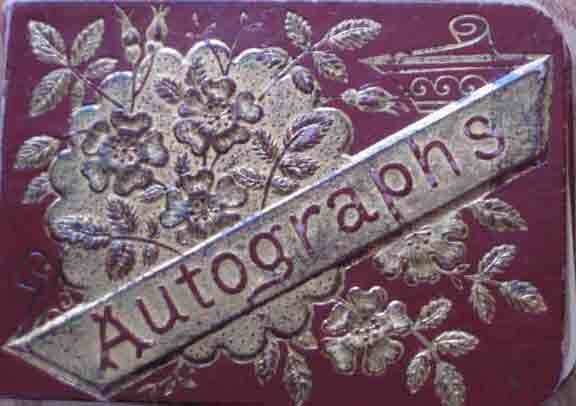 This autograph book was purchased by Charles E. Page, III at a Town of Madison estate sale auction in July of 2009. The listing and photographs of the pages were contributed by Charles E. Page and Jill Tobin. The book has been donated to the Smithfield Community Association for preservation.